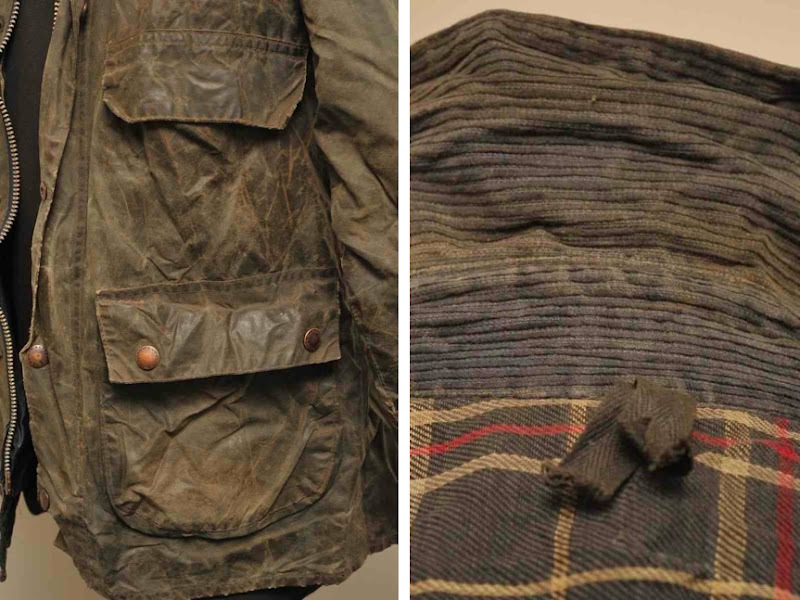 Bored on a flight this weekend, I started scanning through eBay to see what was on offer in the vintage Barbour department. While there's usually a handful of men's coats, and most of the time for whatever reason they're XLs, I found this vintage A105 Bedale that is not only an XS, but it's also aged (or thrashed...depending on how you see it) in a way I've never seen a waxed cotton coat look. 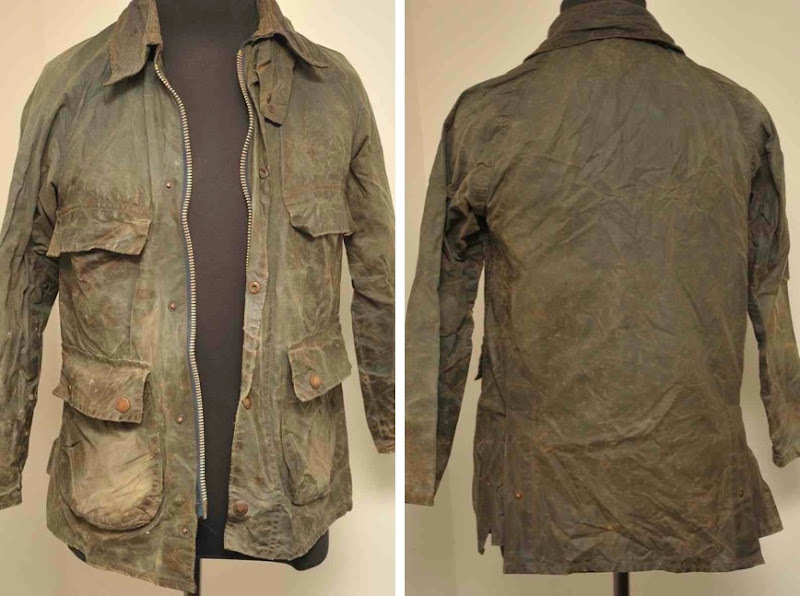 Like an old leather motorcycle jacket, its patina, rips, and cracks attempt to tell a story of its previous life. It's pretty cool looking—please someone buy it so I don't have to. I bought myself a International for my 19th birthday and it's one of my absolute favorites. I'm enjoying seeing it gain it's character the longer I have it from how I wear it and, really, how it wears me.